When it comes to payroll, there are a lot of essential factors that you need to consider, not least of all the costs that you can expect to pay. Is it more cost-effective to do your payroll, using cutting-edge software? Or is it worth it to outsource your payroll, in exchange for experienced professionals handling your accounts? In this guide, you’ll find out what you need to know about payroll costs, including the different available options, and the average pricing for each. You will also be able to compare different payroll service providers against each other, using the top 5 lists which might inform you about pricing, customer reputation and additional relevant information. What are the different types of payroll services? First of all, let’s quickly take a look at what payroll is. Payroll refers to the process of keeping a list of your employees, tracking how much they need to be paid as well as anything like holidays or sick days. Each employee will require a payslip whenever they are paid, which is typically either weekly or monthly. You also need to send real-time information to HMRC whenever you run your payroll, which helps you to stay compliant and working within the law. Mainly, there are three types of payroll services. When you opt to outsource your payroll fully, this means that a company will take over every aspect of your payroll. This includes keeping track of salaries, sending out payslips, submitting information to HMRC and often doing your end of year accounts. When you decide to have your payroll partly managed, it means that you outsource most of your day-to-day obligations while maintaining a level of control. Usually, this will mean that your payroll company will deal with things like BACs and enrolment, while you deal with your gross to net calculations, for example. If you want to keep complete control over your payroll, you might want to invest in payroll software. Payroll software takes some of the administrative burdens away, as sometimes you can set up auto enrolments, have payslips sent out regularly with minimal input and send information to HMRC automatically. This can be less expensive than outsourcing payroll entirely, but it does mean that you have to take full responsibility to stay up to date with changing regulations. Now that you know what payroll means, as well as the different options available to you, let’s find out more about the kinds of costs that you can expect. If you are a smaller business, pricing might be the most critical point that you need to take into consideration. SageOne, for instance, can cost as little as £3 per month with the capacity to manage up to 5 employees. This can be excellent value for money when you only have a few employees to manage. However, you are then limited to this package when you want to expand, which could mean needing to upgrade and potentially disrupting your process. On the other side of the scale, for a large business, you might want to opt for BrightPay. While they are more expensive at £99 per year, you can have an unlimited number of employees, and it offers a comprehensive software package. You can do anything from calculating salaries to payslips, sending RTI to HMRC and managing your employees with a calendar. For SMEs, costs are an essential part of deciding whether to choose a payroll company or not. However, with many of these providers, you will have to request a quote that is bespoke to your business needs – in which case, it might be better to compare the features they can offer. Do they include payslips as standard? Or information to HMRC? Using software is another excellent option for SMEs, which you can check out in just a moment. Payescape is one of the highest rated payroll software companies on the market today and provides its customers with both payroll and HR software for their customers. Their payroll service is an excellent fit for SMEs because of the full range of tasks you can have completed such as filing taxes to HMRC, auto-enrolment, self-service for your employees and detailed payroll reports. SMEs can benefit from their excellent five-star rating, with their customers stating that this company is superb. If you’re looking for a global company who can process your payroll, report to HMRC, do auto-enrolment and pension deductions, Equiom might be an excellent fit for you and your company. This is because, for SMEs, this could mean having a payroll company who can take care of your needs if you want to take your company international, but you haven’t got too much experience in this area. So, you can remain compliant with all of your obligations as well as statutory reporting. Ceridian offers payroll and HR software for UK and Europe, with many reputable customers such as WHSmith, SugarCreek and Halfords to name a few, with an excellent four out of five rating online. For SMEs, they can offer a payroll management solution which includes features such as task management, self-service for your employees, reporting and data entry. You can continuously process and review your payroll, which allows you to make sure that your payroll is accurate and carried over to your next cycle. Sage One could be an excellent choice for many small and medium-sized enterprises because of the affordable pricing, the flexible features and the possibility to integrate with other software. On the lowest end, their cheapest payroll software which starts from £3.60 allows you to process payroll for up to 5 employees, send real-time information and manage your workplace pensions. Their highest priced payroll software allows you to manage up to 25 employees for £15.60, which includes everything you need such as producing payslips and forms. ADP is another payroll service provider who can offer their customers high quality and highly rated payroll software, which is suitable for both small and large businesses. Some of the many features available include simple payroll processing, taxes which can be calculated and paid, as well as making sure you stay compliant. Your SME could benefit from the experience of an established company, who have many satisfied customers who state that the website is user-friendly and the staff are helpful and professional. If you are running a large company, there are many available options that you can choose from when it comes to your payroll; here are the top picks. Payroll administrator: On average, £20,000 annually. 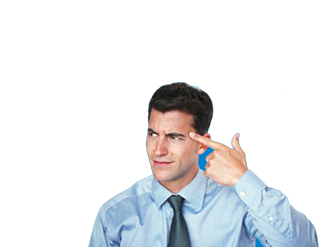 Outsourced payroll: Costs are as little as £3 per employee, per transaction. This could mean paying approximately £18,000 a year for 500 employees if you pay your employees every month. Payroll software: Brightpay costs around £99 a year, but for that, you can manage an unlimited number of employees. But, you’ll have the responsibility of your payroll and things like staying up to date with regulations. Brightpay is a highly rated provider who has software which is designed to match the needs of a large company, and it only costs £199 per year for an unlimited number of employees, making it excellent value for money. Some of the features of Brightpay includes full HMRC recognition, helps you to see and fix mistakes, password protect your data and encryption for extra security as well. Large businesses can benefit from allowing their employees to view their payslips, request leave from a calendar and update their details. Ceridian is an international payroll software company who has a high rating on trusted websites such as TrustRadius, with over 500 individual reviews online and an overall score of 4 out of 5. Some of the features that large businesses can benefit from is management for tax, employee self-service, data entry and verification for all of your relevant forms. Their managed payroll services mean that you can trust an established company with your payroll so that you can focus on other essential parts of your business. 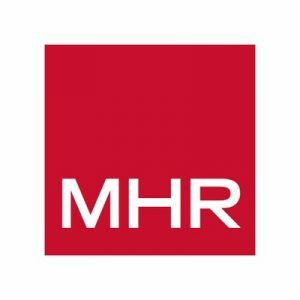 MHR is a well-known provider of payroll software, with an excellent five-star rating on Google with many customers that state that it is a top company for payroll and your IT needs. For large businesses, MHR can provide your company with a streamlined payroll process with more accuracy, efficiency and reduced costs. You can also benefit from their payroll software called iTrent, which you can use to manage your workflow and tailored to fit your requirements. 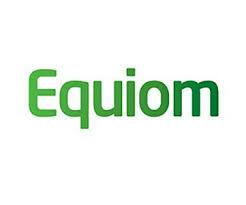 Equiom is another recognised brand when it comes to payroll, with a five-star rating on software review sites such as Bark. For large businesses, Equiom can provide you with many services regarding your payroll including calculating your pay, auto-enrolment, reporting, sending payslips and staying compliant with HMRC. ADP is a payroll service provider who has an excellent rating on Trustpilot and offers many bespoke agreements and pricing for businesses of every size, including mid-sized and large companies. Some of the features that ADP offer are payroll processing, tax calculation and paid as well as compliance with HMRC. For accountants, there is an increasing amount of clients who want to not only have their taxes and bookkeeping handled by their accountant, but also payroll too. From the perspective of a customer, this means having one point of contact, with many of their business needs delivered from one place. As the accountant, this could mean more profits for you, as well as being able to offer a more comprehensive range of services. But what if payroll isn’t your speciality? What if you are worried about not having enough time? This is where payroll software, or outsourced payroll, can help you. It can add to your profits to offer this extra service, even if you decide to pay another company to do the hard work for you; in fact, sometimes it can cost as little as £3 per employee, per payslip. Software, on the other hand, could cost around £136 but that includes the ability to manage unlimited employers with up to 100 employees each. 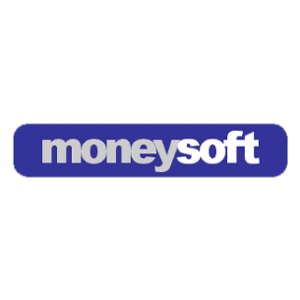 Moneysoft is a provider of payroll and accounting software to both employers and accountants, as well as payroll bureaus in the UK. Not only is Moneysoft excellent value for money as you can manage an unlimited number of employers for £204 a year plus VAT, but it also comes with many attractive advantages such as processing payroll, auto-enrolment, print payslips, deal with taxes and real-time information. You can benefit from choosing between tiered priced packages which allow you to pick a license that matches the number of employers you manage and the number of employees they have. 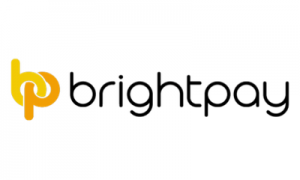 Brightpay offer software which is specifically tailored to accountants and payroll bureaus, with tiered packages that allow you to manage up to an unlimited number of employers, with an unlimited number of employees for £499. One of the benefits of choosing Brightpay as an accountant includes the fact that you can manage as many clients as you need, which means you can grow without worrying about having to upgrade. They also have an excellent online reputation, with customers stating that the software is easy to use and has unique functionality. 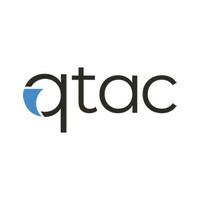 QTAC has over 20 years of experience in the payroll industry, with easy to understand pricing at £3.80 per payslip for outsourced payroll, and many services available such as auto-enrolment, workforce assessments and BACs services. Their payroll bureau software starts from £144 plus VAT for payroll bureaus, which includes holiday credits, job costing, reports and auto-enrolment. You can also benefit from utilising their free trial, so you can try out the software without needing to purchase it straight away. FMP Global is an international payroll and accountancy software company, which also offers its customers part and fully managed payroll services too. Firstly, their payroll software which is specifically tailored to accountants features being able to process your client’s payroll and payslips, calculate tax and national insurance, as well as reporting for your employers. Secondly, you could also choose between their part or fully managed payroll services, which means that you can benefit from allowing FMP Global to take care of your payroll needs so that you can focus on other elements. 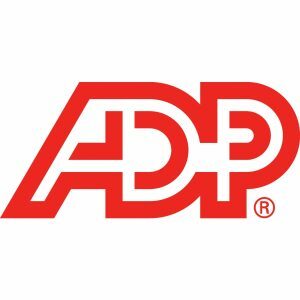 ADP is a payroll service provider who also offers payroll software, and currently, have an excellent five-star rating on trusted review sites such as their Trustpilot page. Many customers state that the payroll software is easy to use, the staff are friendly, and the company is highly competent. For accountants, customers can benefit from the advantage of being able to choose between either utilising their payroll software or services, which can help you keep your payroll organised and compliant. If you are a contractor, making sure that you get paid on time, with the right amount can not only be stressful but sometimes time-consuming too. Especially when you take into consideration any administrative issues or chasing up a company for payment. This is when an ‘umbrella’ company could be a perfect solution to your problems. While they take a percentage of your pay from your contract, in exchange you will receive the benefits of being employed. Such as insurance, sick or holiday pay, and having information sent to HMRC on your behalf. Some companies, such as Crystal Umbrella, claim not to charge you any entry or exit fees, while The Parasol Group has an excellent customer reputation. Usually, the costs of being with an umbrella group varies depending on how much you earn with your contract. However, it can be around £25 to £30 a week on average. With the Parasol Group, you can benefit from the freedom of being a contractor but with the positive aspects of employment. Such as being insured and not having to worry about doing your taxes. They claim that you will always have someone to speak to when you need to ask a question, or you have an issue, and your payments will be quick and on time. Contractor Umbrella is a highly rated umbrella company, that deals with everything from your insurance, fast payments and employee benefits on your behalf. For a reasonable price of £29.50 a week, you can expect all of the above as well as emails that will be responded to within four hours during office hours. Plus, easy access to a personal employee liaison officer who will be able to ensure that your experience with the company is smooth and enjoyable. 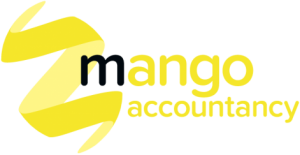 Mango Pay claims to be an excellent option for contractors who mainly deal with short to medium-term contracts. They will give you a quick set up, full insurance, employment benefits, holiday pay and a customer service team to help you with any questions or issues you might have. Although it isn’t clear how much they would charge you on their website, you can contact them directly here to find out more. 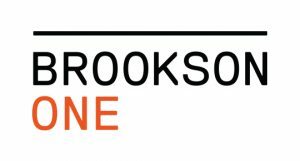 Brookson One has been around since 1995, and they say they have provided services to over 90,000 freelancers, contractors and those who are self-employed. They do not charge any entry/set up fees, claim to deliver fast payments and they offer their contractors support six days a week. You can access all of your information regarding your accounts at any time, from anywhere. With Paystream, you won’t have to worry about sudden or unexpected tax bills, as they will take care of everything regarding your taxes for you. They can also offer you the benefit of being continuously employed, which can help you to take out a loan or a mortgage. You will also be able to claim expenses, have insurance cover and a workplace pension. For a bespoke quote, get in contact here. Workday can offer their customers a global payroll management system which gives you a single piece of software which can handle everything from the hiring to the payment process. This helps you to reduce any potential human error, access all of your data from anywhere at any time, and view global trends. On Software Advice, Workday boasts an almost perfect rating at 4.3 out of a total of 5, with customers stating that there is easy integration with other software, it is easy to use, and it keeps your workflow organised. The Access Group provides its customers with highly rated HMRC recognised payroll software, which can help you to stay compliant with rules and regulations, as well as taxes and national insurance. You can manage benefits, see comprehensive reports, view timesheets and deal with everything regarding holidays and maternity leave. Customers state that both the software and the company is excellent, with many features available such as auto-enrolment and real-time information. Brightpay is a company that has over 25 years of experience in the payroll industry, offering a range of payroll software which is tiered to match your budget and your needs. This means being able to choose from a basic package priced at £49 for one employer with three employees or less, to the highest rated package at £199 which allows you to manage an unlimited number of employees. Some of the main features of Brightpay include full HMRC recognition, password protected data, cloud backup and detailed reports. 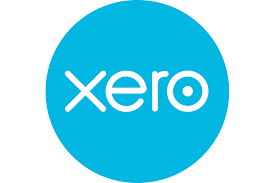 Xero offers its customers highly rated payroll and accounting software which can be used for a variety of small to medium-sized enterprises, starting from a minimum of £10 per month. Their software allows you to both manage the business aspects of your company including invoices, time tracking and payments, but also payroll services such as processing, sick and holiday pay, submitting to HMRC and payslips. This means that you can use Xero as a one-stop-shop for your accounting, payroll and business needs. Kashflow is an excellent option for many companies because it comes with many different features such as processing payroll, allows you to work online, lets your employees self service and it integrates with other types of software. Starting from as little as £10 per month, you can manage up to five employees and then it is a further £1.10 per additional employee. Running payroll is the action of keeping track of your employees, working out how much tax and national insurance needs to be paid, then making sure your employee gets the remainder. Sometimes you might run payroll every month, or for some businesses, it might make more sense to run your payroll every week. You also have to let HMRC know how much you have paid your employees, how much pay has been deducted for tax purposes and pensions. How much does it cost to do payroll? Depending on how you do your payroll, there is a big difference in the costs you might need to expect. Hiring a payroll administrator costs you about £20,000 a year. However, it would give you someone who specialises in payroll and can deal with other HR issues. When you outsource your payroll to an external company, you no longer need to worry about the responsibility of staying up to date with regulations. Or, submitting information to HMRC. Usually, there will be a bespoke quote from the payroll company, which is dependent on the number of employees you have and the variety of services you require. However, some companies quote around £3.80 per employee, per payslip, which means it could only cost you around £4,560 a year for 100 employees. 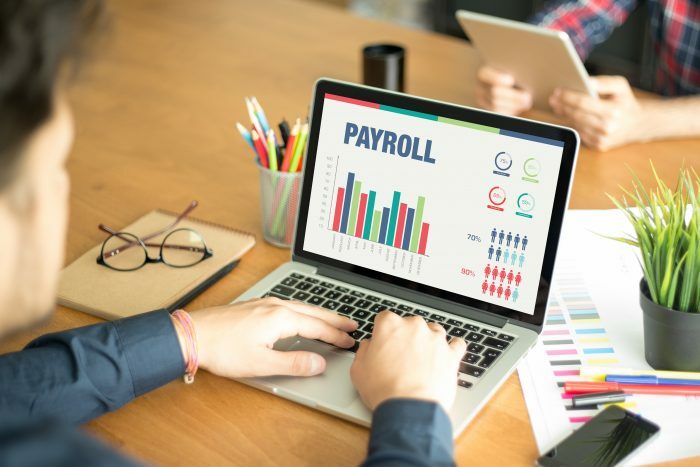 Payroll software can either be cost-effective and allow you to do the bare basics, such as calculating salaries and deductions, or it can be extraordinarily comprehensive but costs more. Brightpay, for example, might cost around £99 but for that, you will have access to many different payroll tasks and calculations, as well as remaining compliant. Plus, you can manage an unlimited number of employees. How much does payroll software cost? HMRC PAYE tools and Payroo are examples of free payroll software, whereas software from Xero costs from £10 and SageOne can be priced as low as £3. What is included in payroll costs? So, why should you outsource your payroll? Not only can it make you significant savings when compared to the costs of hiring a payroll administrator, but you also don’t need to bear the responsibility of staying up to date with laws and regulations. You can focus on what you do best, running your company. Why should you choose payroll software? If outsourcing your payroll doesn’t seem to be the right fit for you, there is also the option to utilise one of the many suppliers of payroll software on the market today. This can vary in price depending on how advanced the software is and the number of employees you have. For instance, Kashflow allows you to manage up to 5 employees for £10, whereas with Brightpay the software costs £199 to manage an unlimited number of employees. The software allows you to keep full control over your payroll, but with the benefit of using software that minimises human error and increases accuracy. In conclusion, there are several choices to consider when it comes to your payroll, from purchasing software to manage your employee’s payroll to outsourced payroll companies. Are you ready to compare your payroll options? This guide should have told you everything you need to know about payroll costs, but if you still have questions, check out the payroll section here. Ready for a top payroll quote? Who Else Wants a Top Payroll Quote?